Enjoy a luxury, live aboard the mothership experience while fishing and exploring the most remote and productive barramundi locations in Australia. Situated at the top of Australia's Northern Territory lies North East Arnhem Land, one of the world's last true wilderness areas. The vast tidal rivers, mangrove lined estuaries and rich coastal waters produce some of the best sport fishing available anywhere in the world. 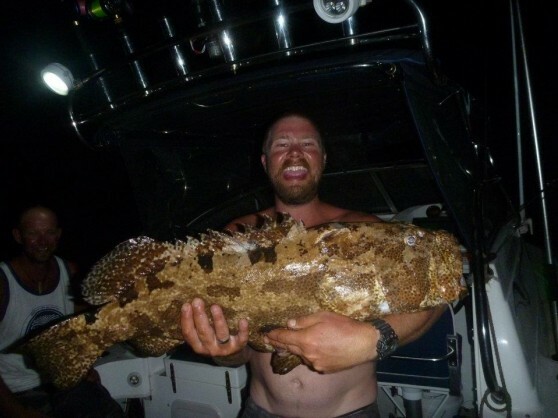 This is a unique opportunity to share in unsurpassed local knowledge and experience gained over 17 consecutive years of successful barramundi charters in this area. 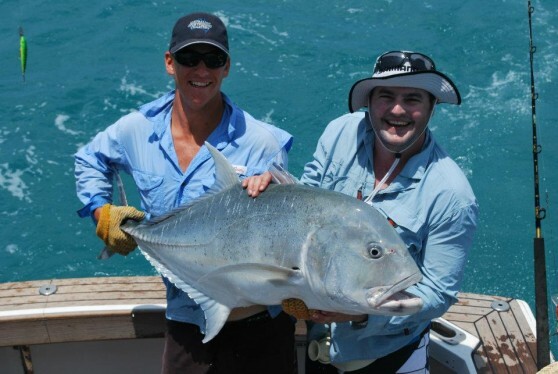 January to June – "Barra - Barra - Barra"
This is Barramundi time with Giant Trevally, Queenfish and other pelagics as a regular bonus. 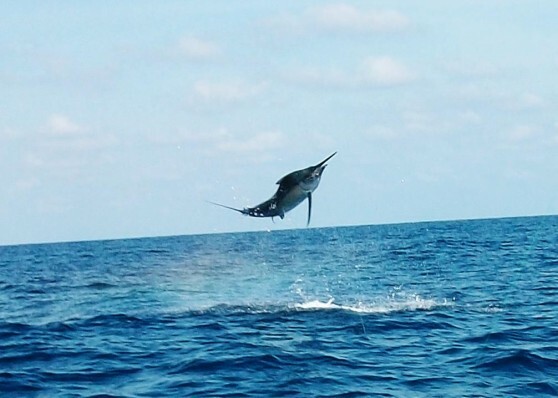 September to December – We target billfish. 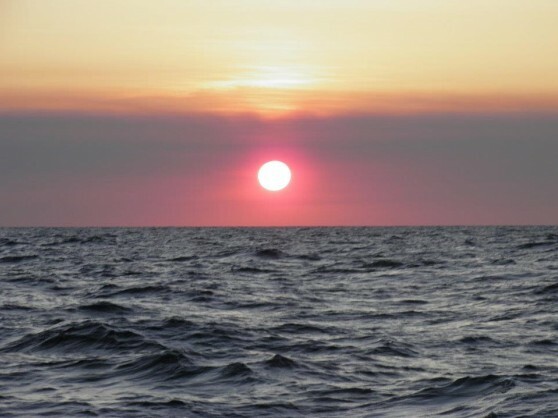 Good months to target marlin, sailfish, tuna, spanish mackerel and a host of other hard fighting pelagics. This part of the season offers everything sportfishers could dream of. 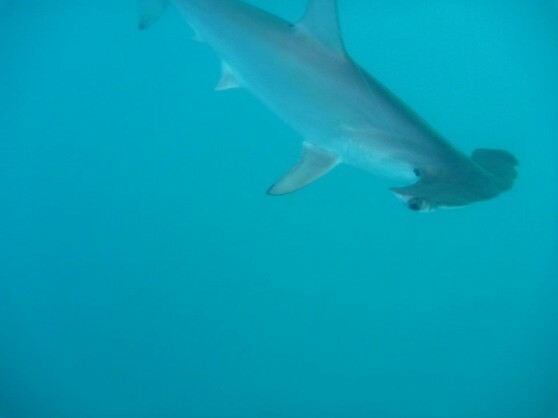 Crystal clear water over white coral sand beaches, inshore reef and islands are the scenes for battle with over 40 species. Seeing is believing. 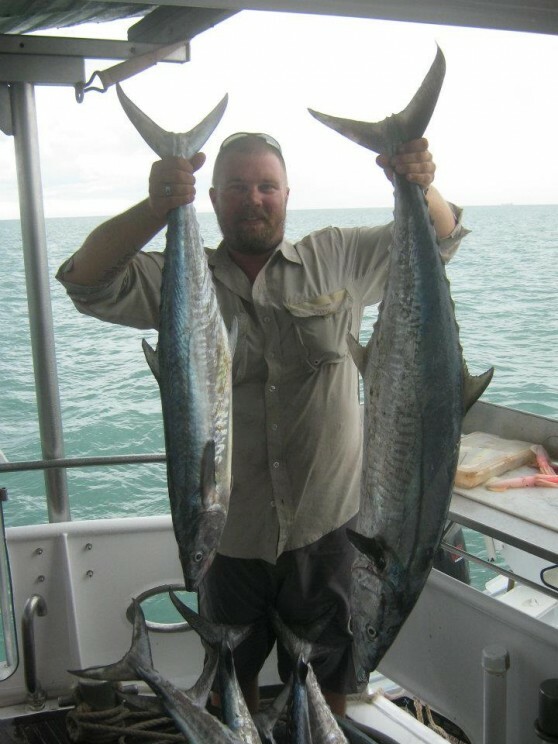 Fishing programs are varied to suit your needs and make the most of the prevailing conditions. Your mothership is the Iron Lady, a 65 foot luxury motor yacht, fully equipped to ensure you experience the best possible fishing safari, with air-conditioned comfort to take the edge off the tropical heat. 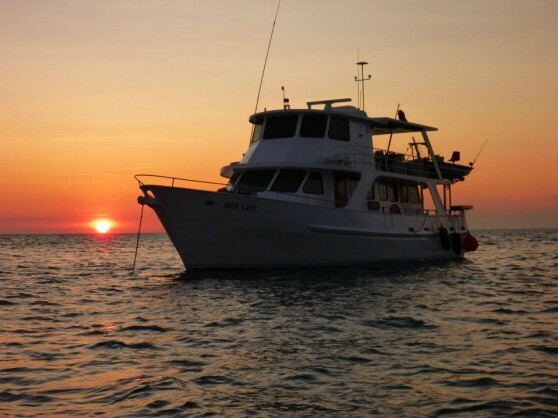 Iron lady Wilderness Safaris has operated successful fly, sport and game fishing charters in the remotest areas of NE Arnhem Land and the Gulf of Carpentaria continuously since 1996. 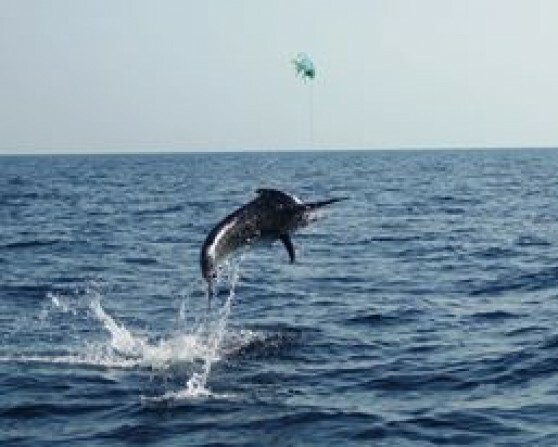 In 2002 an exploratory trip further south in the Gulf discovered previously unknown Sailfish and Marlin grounds. 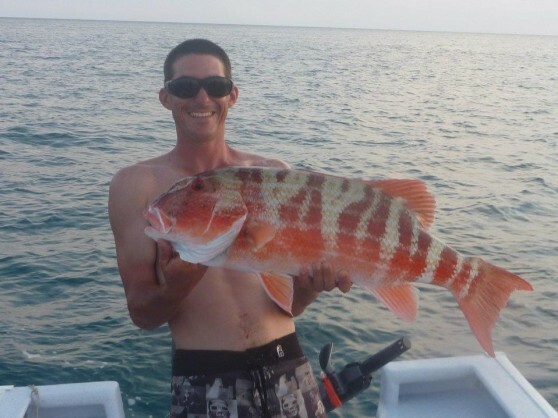 Subsequent seasons have proved beyond doubt that the area is Australia’s most exciting new sports fishery. Today the business includes the 65’ luxury mothership Iron Lady, 35' Custom game boat Wild Turkey and a variety of sportfishing skiffs and tenders. 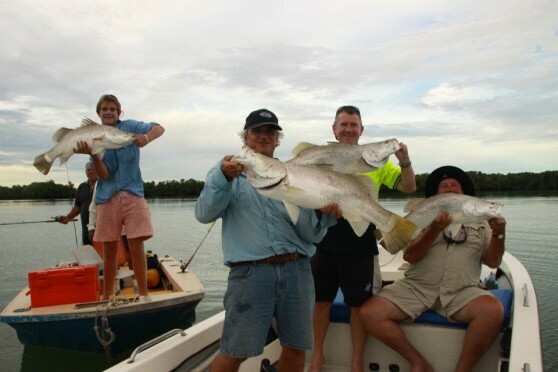 During the first half of the year the fleet supports extended live-on-board Barramundi Fishing Charters in the estuaries and rivers of NE Arnhem Land as well as light tackle Sportfishing around the spectacular Wessel and English Company Islands. 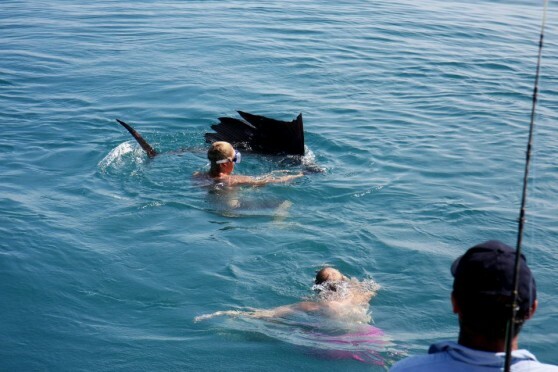 Come September the Iron Lady and Wild Turkey can be found south of Groote Eylandt doing battle with the abundant Sailfish and Marlin in this newly discovered fishery. 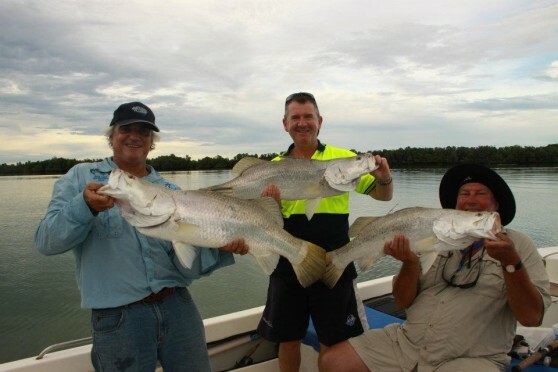 The Roper River offers some of the best Barramundi run-off fishing in the Northern Territory. 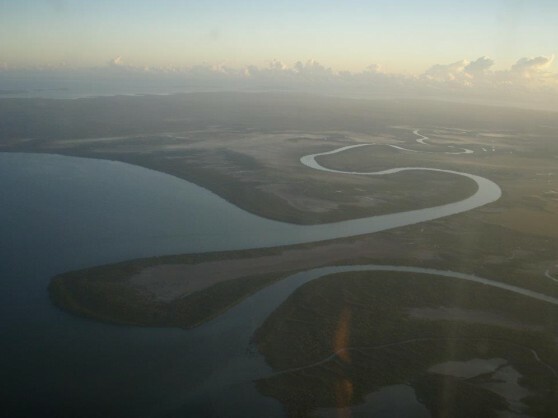 This magnificent river flows into the Gulf of Carpentaria and is navigable for almost 170km. So your hot spot opportunities are endless, and the competition minimal or non-existant. Day one - Depart Darwin at 7.30 am on the Grumman Mallard sea plane arriving next to the Iron Lady on the Roper River at 9.00am. The flight to the Roper River is an adventure on its own and an experience not to be missed. The rest of the day is yours to prepare your gear and go looking for your first Roper River barra. The following days will be spent catching barra wherever we find them. 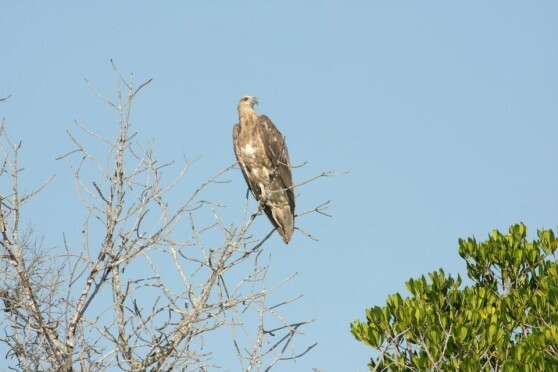 Our guides have an intimate knowledge of the river and the Iron Lady will move whenever necessary to keep you on the hot spots and close to your comfortable accomodation. The morning after your last day fishing will again see you on the Grumman Mallard sea plane for your flight back to Darwin, arriving at Midday. 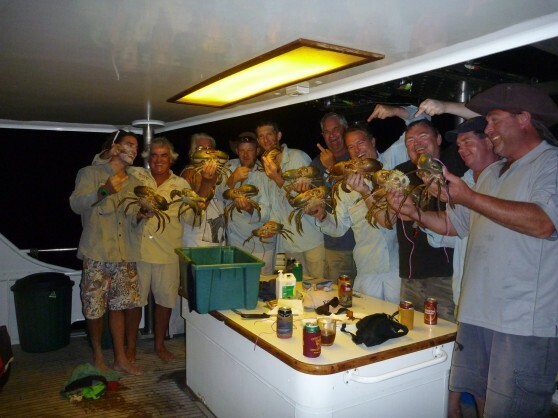 Your angling experience of a lifetime starts by travelling to the remote and pristine area of northeast Arnhem Land in the Northern Territory where you will rendezvous with our mother ship, the Iron Lady. There are several options for meeting the Iron Lady at the fishing grounds. 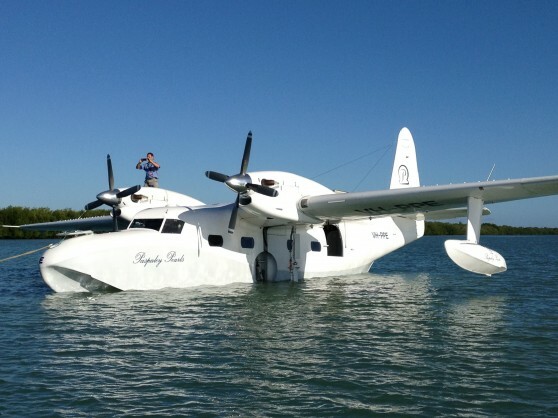 By far the best option is to fly direct from Darwin on the Grumman Mallard Flying Boat arriving next to the Iron Lady at about 9.00am. The flight lasts about an hour and a half and is an adventure on its own. Alternatively you might travel by commercial flight to Nhulunbuy (Gove) then fly by light aircraft from Gove to a bush airstrip near the area we will be fishing and board the Iron Lady. The availability, costs and benefits of the various travel options depend on where and when we are fishing so please discuss your preferences when making your booking. 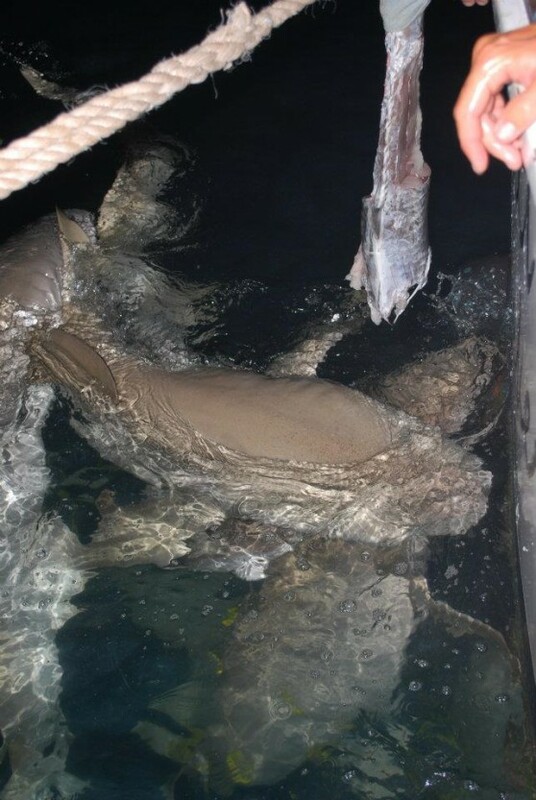 We vary our fishing program to make the most of the conditions prevailing at the time. 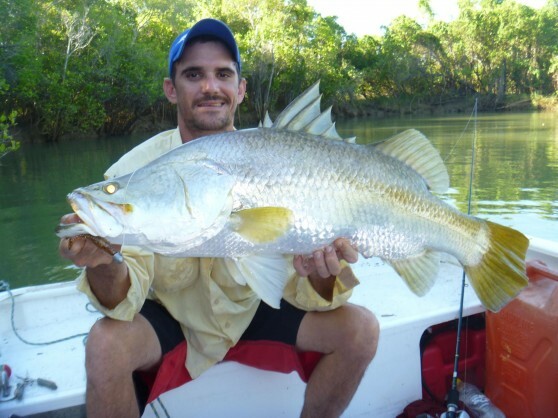 Naturally, the prime target for most groups is Barramundi, and the barra fishing in estuaries, headlands and creeks is exceptionally good. 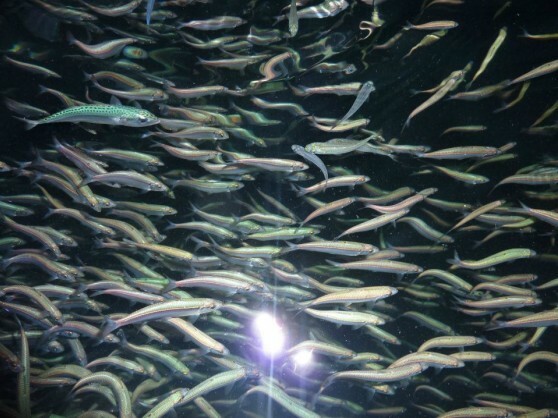 Also encountered in this pristine environment are Fingermark, GT's, Mangrove Jack, Estuary Cod, Salmon, Barracuda and many more. If you tire of catching big Barra, the nearby Wessel or English Company Islands offer a spectacular change of location and scenery. Here the fishing is mainly for pelagics such as Queenfish, Spanish Mackeral, GT's with some brilliant reef fishing for Coral Trout and Red Emperor available in the same area. These waters are virtually unfished. In the estuary and river systems, two experienced guides will be in charge of two of the four fishing skiffs. Our guides are there to help you get the most from your trip. Experienced fishermen may want nothing more than to be taken to the hot spots and left to do their thing, while novice anglers will be given all the help they need by guides who will tie knots, select appropriate lures, give casting lessons and take fish off the hook for you. 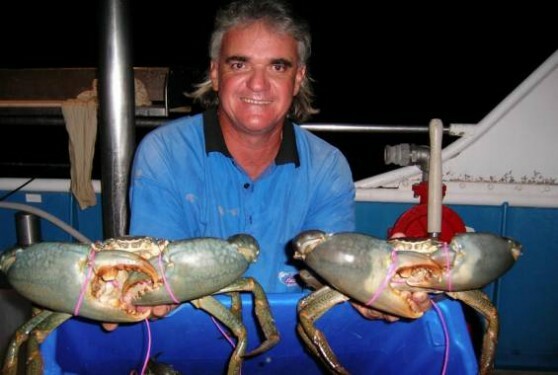 When anglers first arrive on the ship, head guide Dan Bergamo will join you to set up your gear. At that time Dan will advise on lure selection, demonstrate how best to rig for the area being fished, and take novice anglers through the basic knots required. If you don’t have a particular lure that is taking fish in the area, or you run out, the ship carries good stocks of the best lures for sale, and rods and reels are available for those who may not have the correct tackle for the situation. The Program for each trip may vary according to the desires of the group on board at the time. 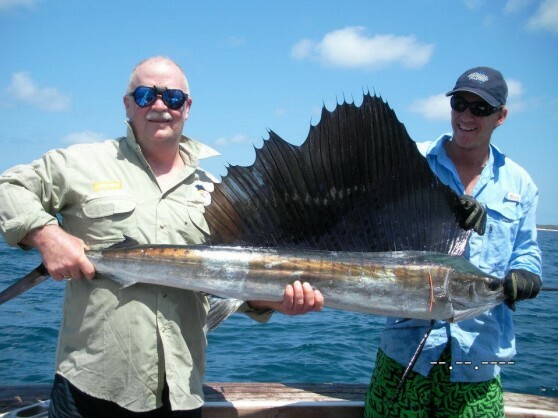 The billfish and Fly fishing season runs from September to December in the Gulf of Carpentaria. it doesn't get any better than this. 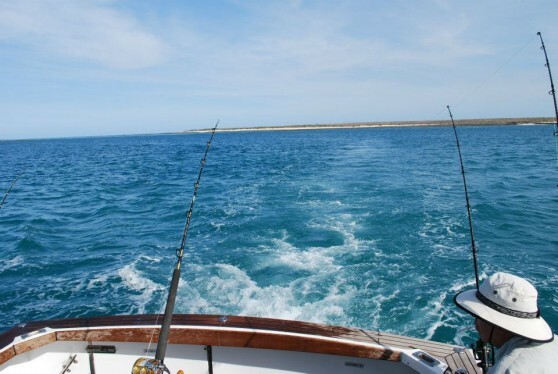 A deserted, crystal blue ocean offers billfishing you could only dream about. Charters depart from either Groote Elyandt or Gove depending on where the billfish are congregating. The Iron Lady provides you with first class accomodation while you gamefish from our 34' Custom game boat Wild Turkey. Once in the game seat, experienced fishing guides will assist and ensure your catch is landed, photographed and released quickly and safely. Experienced angler or beginner, trolling or fly fishing, Dan and the team will be on hand to make your catch a memory never to be forgotten. 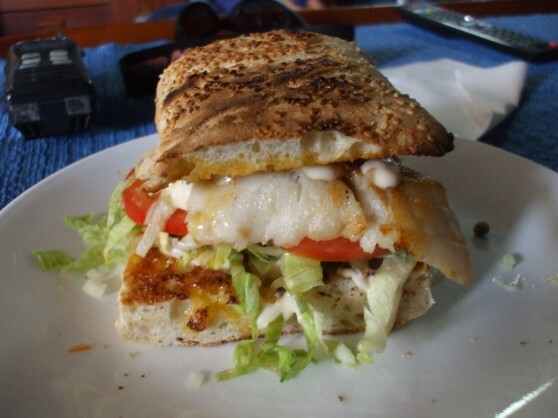 We will have our Sportfishing tenders with us so should you wish to break up your trip to include a few days sensational barra and light tackle fishing around the nearby headlands and bays this too can be accommodated. All meals during your stay aboard the Iron Lady. MV Iron Lady is a 65’ classic, luxury motor yacht, equipped to fish or explore the world's most remote and beautiful places, whilst still experiencing the standards of quality, service and comfort you would expect from a luxury hotel. She is fully air-conditioned with an interior dining room plus two external dining and relaxing areas on the aft and top decks. Air-conditioned cabins with en-suites provide the opportunity to enjoy a sound nights sleep after a big days fishing, as well as an escape from the heat or your noisy friends. Iron Lady is equipped with full satellite telephone and communication facilities. The vessel has a spacious top deck incorporating a large BBQ and dining table to seat 12. This is often the venue for our evening meal when we record and remember the catches (and losses) of the day. The air-conditioned saloon area has a modern galley with ample dining area and entertainment system enabling you to view video and still images of your days fishing. The aft deck is a spacious open area that has access to outside amenities (toilet & shower).